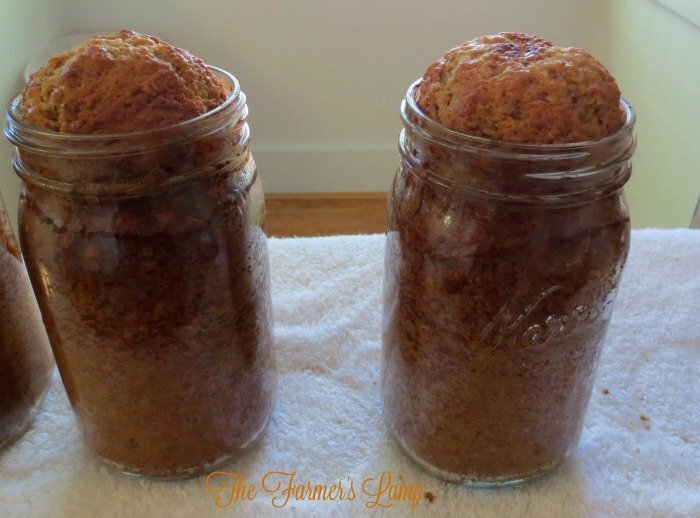 I suppose the title of this post is deceptive – “How To Oven Can Quick Breads” – because it’s really baking bread in a jar for storage. There’s no canning process which takes place. We call it oven canned quick bread because when the bread is taken from the oven we immediately place a lid on it to seal the jar. I had never heard of oven canning quick breads before this year. I was visiting my old-timer friend Helen and she offered me some of her zucchini bread which she had oven canned. It was moist and delicious after a year of being in the jar. I won’t embarrass her by sharing her age is 73 and she’s done this since she was a girl. She has taken me under her wing since we moved to the panhandle of Idaho from the deep south. She’s teaching me how to garden, can and many other things about life in these altitudes and temperatures. How to oven can quick breads is the latest thing she’s taught me. If you get the bi-weekly newsletter, then you’ve already gotten TFL Zucchini bread recipe. 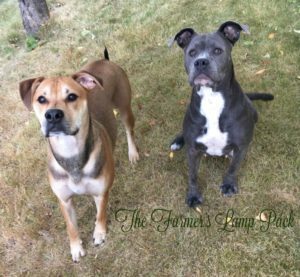 If you’re not yet a subscriber, don’t worry, I’ll share it here in this post. I’m also going to share how to oven can quick breads as taught to me by Helen. *All of our ingredients are organic, non-GMO. You use the ingredients you feel comfortable with or have on hand. **Most of my recipes are written in a book I’ve been writing for my boys. This has been a 15-year process and I’m not done, but this is why the recipe may sound conversational. 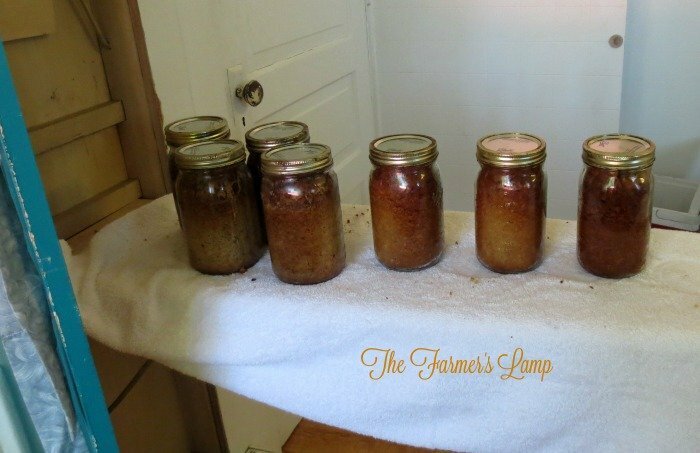 This recipe will make 4 quart jars or 8 pint jars. You can use any quick bread recipe you like. I used zucchini and bananas because I had so much zucchini and because the bananas were overripe. I don’t like wasting anything that can be used in some other way, even just to feed it to the animals. 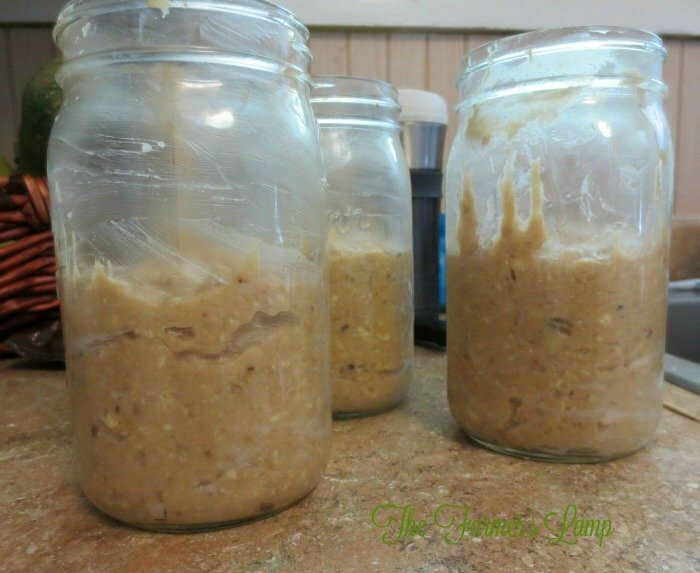 Use wide mouth jars to make it easier to grease the jars and to get the bread out when you’re ready to eat it. 2. Preheat your oven to 350 degrees F or the temp your recipe calls for. 4. Mix your batter according to your recipe. 5. Fill your sterilized jar 1/2 – 2/3 full – overfilling will result in bread rising out of the jar. Helen warned me and I tried not to overfill the jar, but I’m still learning about making altitude adjustments in my baking. If yours does rise out of the jar, as you can see mine did in the photo I shared above, simply cut off the excess before wiping the lip of the jar for sealing. 6. Place a baking sheet in the oven to allow for stabilization of the jars. Place the jars on the baking sheet. 8. Immediately remove the jars from the oven and wipe the lid with a damp cloth to ensure it’s clean. BE CAREFUL! The jars are hot so exercise common sense and safety. 9. Place a lid on the jar and screw the cap on. 10. Let set on the counter for 24 hours. If the jar doesn’t seal, store the cool jar of bread in the frig until you’re ready to eat it. 11. Store your sealed jars in a cool, dry place like your basement or pantry shelves. There is some variance in how long the bread is good for. Some say it’s good for 6 months, some say it’s good for a year. Some even say it’s good for several years. Personally, because it’s bread I’m going with one year for our family, but do the research and decide for yourself. There is some question on the safety of oven canned breads. It’s recommended you keep them in the frig, but for us, this defeats the purpose of “canning” the breads. You will hear stories from all sides. People, like Helen, who have done this their whole lives and have never had a problem. People who say the government says it’s bad because they want to control the food supply. While it’s true there is an ongoing war on our food supply, you have to decide what you think on this issue. And people who say it’s safe if you keep them refrigerated or frozen. So there you have it. I believe the safety relies on sterilizing the jars and lids and to be sure the bread is done. To be sure you’re informed, I’ve located a pdf file for your review which has some warnings and findings. As always, I want you to make the most informed decision you can. Do you oven can quick breads? Please share your tips and experience with us in the comments. I LOVE this concept! Thank you so much for sharing. I am absolutely going to try this.